It’s been an ambition since the 1960s and now, a new Student Commons is a tangible step closer to opening its doors on the university’s St. George campus. Earlier this year, the university and the University of Toronto Students Union (UTSU) chose the Toronto architecture firm Superkul to transform 230 College St. from the home of the John H. Daniels Faculty of Architecture, Landscape and Design, into the Student Commons – a centre funded by and designed for students. 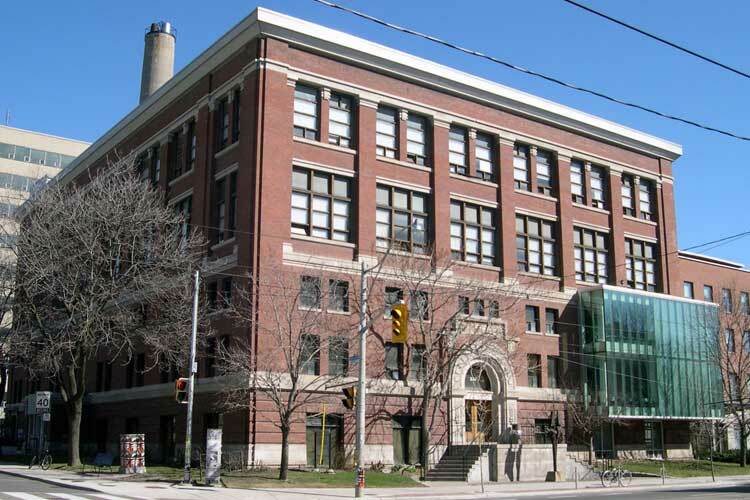 The Daniels faculty is moving to a new home at 1 Spadina. UTSU President Ben Coleman says Superkul is well suited to the job of creating the campus’s first student-run centre. “They’re creative. They’re imaginative. They worked at U of T before so they really know student needs,” said Coleman, pointing out that the firm was the lead architect on the renewal of another important student space, the university’s Chestnut Residence and Conference Centre. The UTSU president says students need a space they can call their own to build community on campus, engage in student life and build school spirit. Students clearly agree and they have voted in favour of the Student Commons with their own money. A student levy to support the project has been in place since a vote in 2007. The Student Commons will fill that need in a number of ways. It will operate throughout the week, 24 hours a day. The fully accessible main entrance will be located on Huron St.
rehearsal spaces for performing arts groups. The Student Commons will also become home to many of the service groups funded by and for students. Those include the popular cycling service, Bikechain, which will be housed in a location that will make it easy for riders to roll up their bikes and get the repairs and maintenance they need. Students have been calling for a student centre on the St. George campus for decades. In 1960, the U of T Student Administrative Council announced plans to build a $4 million student centre but that project was never made a reality. The renewed momentum toward a Student Common began in 2007, when members of UTSU voted in favour of a student levy to support the project. In 2008, the university began collecting the levy. An operating agreement for the student commons was approved by the university’s Governing Council in 2015. “Students have put in a huge amount of effort to make this project a reality,” said Sandy Welsh, vice-provost, students. Construction on the Student Commons is expected to begin this coming fall.